Esso - I Say Ding Dong Shop - Buy Stickers, Decals & Unique Automobilia. Enco Oval & Tigers Head Shaped Sticker. 8". Enco Red, Blue & White Oval Stickers. 4.5" Pair. 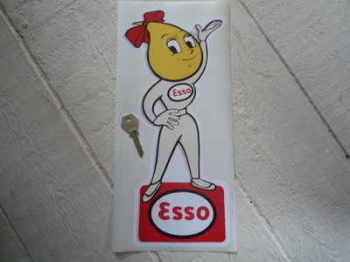 Esso 'Happy Motoring' Pennant Sticker. 4". Esso 2T Happy Scootering Sticker. 3.5". 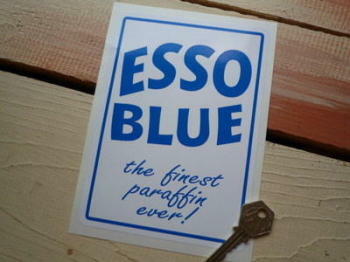 Esso Blue Paraffin Cut Text Sticker. 12". Esso Blue The Finest Paraffin Ever! Sticker. 5" or 7". Esso Central Service Station Service Sticker. 3.25". Esso Cut Text Sticker. 10". Esso Dealer Forecourt Round Sticker. 6". 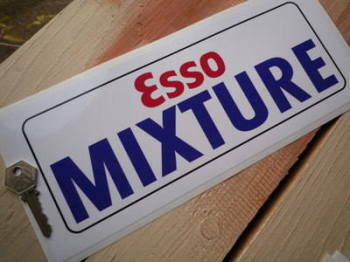 Esso Mixture Fuel Sticker. 12.5". Esso Oil Drip Boy Handed & Shaped Stickers. 4" Pair. Esso Oil Drip Boy Salute Stickers. 3" Pair. Esso Oil Drip Boy Salute Stickers. 6" Pair. Esso Oil Drip Boy Style Laser Cut Magnet. 2.5"
Esso Oil Drip Boy Welcome Stickers. 2" or 4" Pair. Esso Oil Drip Boy Window Sticker. 3". Esso Oil Drip Couple in Car Stickers. 4" or 7" Pair. Esso Oil Drip Couple on Bike Stickers. 4" Pair. Esso Oil Drip Couple on Scooter Sticker. 7". Esso Oil Drip Couple on Scooter Stickers. 4" Pair. Esso Oil Drip Couple Racing Car Sticker. 4". Esso Oil Drip Couple Triumph Scrambler Sticker. 4". Esso Oil Drip Girl Stickers. 3" or 6" Pair. Esso Old Style Round Sticker. 10" or 12". Esso Old Style Round Sticker. 6.5" or 8". Esso Old Style Round Stickers. 2.5", 4" or 6" Pair. 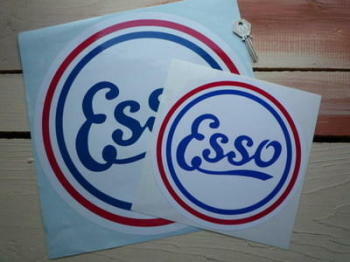 Esso Oval Sticker with White Outer Border. 8". Esso Oval Window Sticker. 75mm. Esso RAC British Touring Car Championship Circular Door Panel Sticker. 400mm.